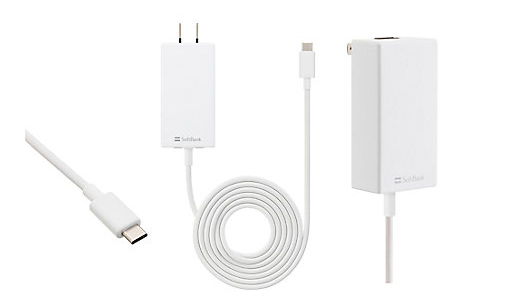 Unlike other iOS products that still use the Lightning connector, the Apple 11-inch iPad Pro (2018) can take advantage of USB Type-C to charge with various third party chargers such as the Softbank SELECTION USB PD USB Type-C Rapid Charging AC Adapter (2018). The Softbank charger is USB certified and supports up to 27W charging using USB Power Delivery. Here we see how this charger supplies power to the iPad at 32% full battery through USB Power Delivery negotiation. Upon connecting both the iPad and Softbank charger using a USB Type-C to Type-C cable, the voltage immediately started off at about 5 volts along with a random current spike of about 1 amps. No current was then pulled until the voltage went up to about 11.8 volts rail. Charging only started to happen when the iPad initially pulled about 1.1 amps current to draw around 13 watts (11.8 volts @ 1.1 amps) from the Softbank charger. The current then quickly hiked up to about 2.3 amps where the iPad was charging at around max 27 watts (11.8 volts @ 2.3 amps). This went on for a few seconds before the current dropped to about 1.8 amps which then gradually stepped up to resume charging at around 27 watts. Click here to download the trace captured by the GRL-A1 power analyzer to see more details. 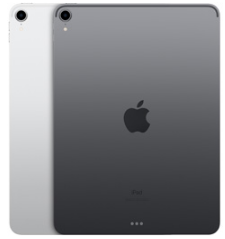 The Apple 11-inch iPad Pro (2018) was able to successfully achieve highest level of charging at 27W with the Softbank SELECTION USB PD USB Type-C Rapid Charging AC Adapter (2018) which is also much faster than using the Apple 18 watts based USB-C charger that shipped with the iPad.